1 gallery style double bedroom. 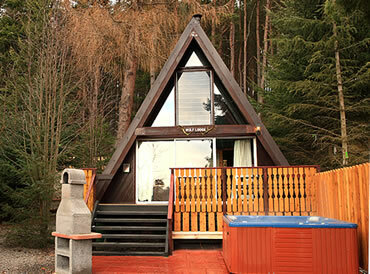 Outdoor hot tub, log stove and sauna. Complimentary Wi-Fi and Pet Friendly.